Decision Therapy: Should I Stay Or Go? You’ve been together or married for 6, 15 or even 25 years. You’ve gone through good times and bad times, and now you find yourself asking: Is it time to go? Decision Therapy’s purpose is to help you to figure out the next step in your relationship, when divorce or splitting up has been considered as an option. Decision Therapy is a 3 session process which will help you, and your partner or spouse, figure out the right thing to do. The length of this process may vary depending on individual couples. Call us today at 888-281-5850 to schedule a consultation. Become clear about whether leaving the relationship is the right step. Insight about what went wrong, and how not to make the same mistakes again. Note: second marriages have a higher failure rate than first marriages. Learn early warning signs – to protect your current or future relationship. The goal of Decision Therapy is to make it easier to either repair the relationship, which will be done during regular marriage and couples counseling, or to uncouple with the least amount of emotional pain for each person, and for children. You are not sure about making the big decision to end the relationship. Your partner wants to leave the relationship. 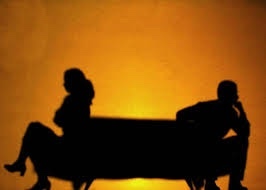 During Decision Therapy you can find out if your partner really wants a divorce, or just doesn’t know what else to do. You are wondering if it makes sense to enter counseling even if your partner isn’t ready to join you. Decision Therapy will help you focus on your goals, and motivate you to make a decision. It will help you not to make a mistake. First, the problems and history that brought you, or your partner, to the point of considering divorce will be analyzed to see if they can be solved. Second, the strengths of the relationship will be evaluated, such as: positive love feelings that remain, positive history, unrecognized positive signs from the partner. Third, once a decision is made, either working on the relationship or leaving it, you will get specific strategies to make that choice happen. One of the major complaints of clients who come to me, who have seen other therapists, is that there were few or no tools given to them to make the changes happen. By working together, you can get professional, experienced help with one of the most important decisions of your life. Whether to stay or leave your relationship. Call our office today at 888-281-5850 for more information.